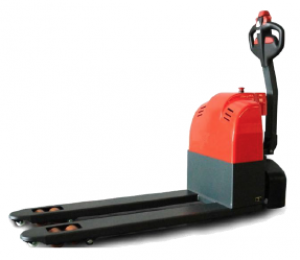 We offer a range of hand pallet jacks and electric pallet trucks. Check out our range below. No frills, economical hand pallet jack solution. The most economical solution to get the job done! Geolift Pallet Jack Most popular! Our most popular mid-range hand pallet jack with stronger Euro hydraulic pump that offers overload protection. Pallet Jacks are the main work horse of all warehouses, this is the basic material handling equipment for all palletised products and is consider a must have. 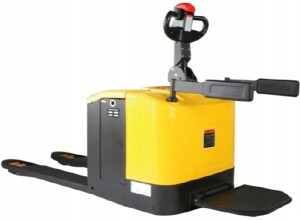 The trend is to go for electric pallet jacks nowadays. Electric pallet trucks increase efficiency many folds and gives you a strong competitive edge over your competition. Our Geolift range of manual hand pallet trucks offer overload protection and you won’t have to worry about your pallet truck breaking down! When you accidentally try to lift an overloaded cargo, the pallet truck will protect itself and your cargo. You will never be caught in a situation with a spoilt pallet jack ever again! Electric pallet jack or a manual hand pallet jack? As a rule of thumb, if you move considerable distances with your goods or have many pallets to move, you might be able to gain the most out of an electric pallet jack. It takes only 3 seconds to lift your load. Moving it along the floor is effortless. This reduces operator fatigue and keeps them alert and safe. Consider this an investment in safety you and show your guys you care for them. Electric pallet jacks boosts morale? Yes indeed, with experience in this trade, when a your guys know that they are going to be operating an electric pallet jack rather than a hand pallet jack. You’ll see a spring in their step! People love automation and equipment to ease their workloads. Show how much you care for your workers today!